Prepare the dressing by mixing together the preserved lemons, capers and olive oil. Set aside. Toss cauliflower florets with melted butter until well coated. Preheat a vegetable grilling basket until smoking, then add the cauliflower. Grill, tossing occasionally, until the cauliflower is tender and slightly charred. Toss immediately with the dressing to allow the hot cauliflower to soak in all the lemony goodness. Dish can be served hot, warm or at room temperature. *Preserved lemons are available in specialty and ethnic grocery stores, or online. Or you can make them yourself using THIS RECIPE. 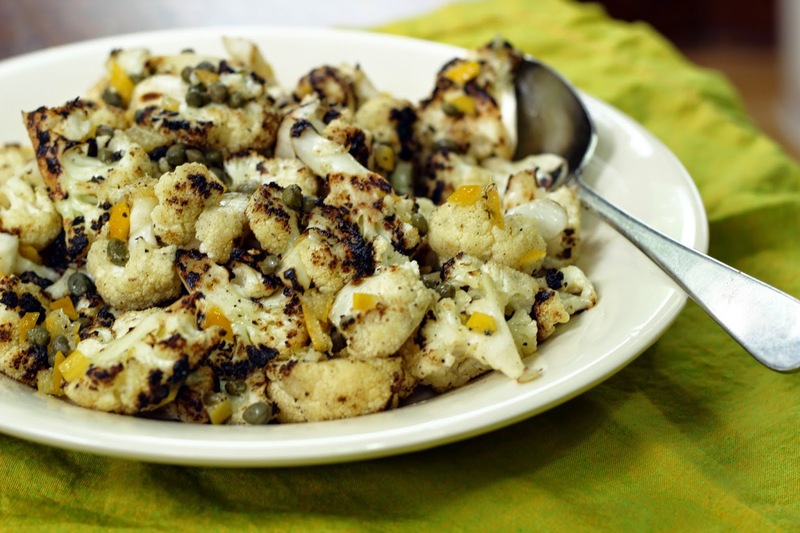 Cauliflower tastes more healthier in this grilled recipe.